WASHINGTON - President Donald Trump’s first face-to-face meeting with Russian President Vladimir Putin on Friday will be brimming with global intrigue, but the White House says there’s “no specific agenda.” So in the absence of a set list of topics, what are two of the world’s most famously unpredictable leaders to discuss? Trump, who prefers to have neatly packaged achievements to pair with high-profile meetings, may be looking for some concessions from Russia to show he’s delivering progress and helping restore a productive relationship between the two powers. Putin would almost surely want something in return, and there’s a long list of “irritants” between the two countries that they could potentially resolve. 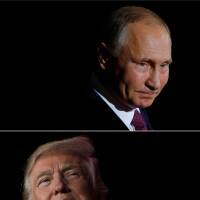 Ahead of the meeting, White House National Security Council and State Department officials have been reviewing possible gestures the U.S. could offer Russia as part of the meeting, a current and a former administration official said. They weren’t authorized to comment publicly and requested anonymity. Yet any outward sign of bonhomie between Trump and Putin would be immediately seized upon by the president’s critics and Russia hawks eager to show he’s cozying up to the Russian leader. The ongoing investigations into Russia’s interference in the U.S. election and potential Trump campaign collusion won’t be far from anyone’s minds. The two leaders will sit down in Hamburg, Germany, on the sidelines of a Group of 20 summit of leading rich and developing nations. Ahead of the meeting, Russian Ambassador Sergey Kislyak met Monday in Washington with the No. 3 U.S. diplomat, Thomas Shannon, to prepare. Trump has been reluctant to publicly and directly acknowledge Russia’s role in meddling in the U.S. election, out of apparent concern it undermines the legitimacy of his win. He’s also insisted there was no collusion with him or his campaign, a conclusion that U.S. investigators have not yet reached. 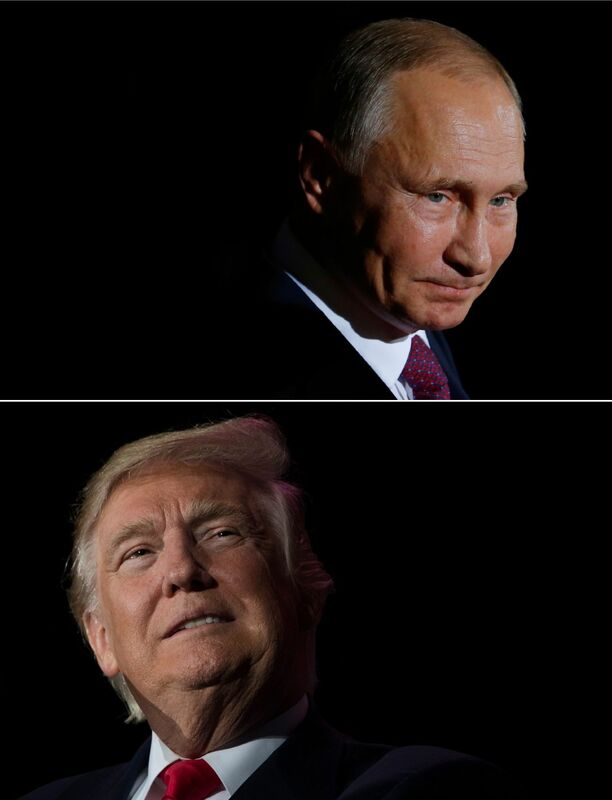 U.S. officials say Russia tried to hack election systems in 21 states and to sway the election for Trump, a level of interference in the U.S. political system that security experts say represents a top-level threat that should command a forceful response from the U.S. Putin has denied all this. There are no indications Trump plans to raise Russia’s meddling at the meeting. Yet if he doesn’t, it will give fuel to Trump’s critics who say he’s blatantly ignoring a major national security threat. It could also embolden those who say Trump is trying to cover for the Russians after benefiting from their interference. But even that effort has stalled. After the Treasury last month imposed new sanctions on Russia for its intervention in Ukraine, Moscow called off a scheduled second meeting between Thomas Shannon, the U.S. undersecretary of state for political affairs, and Sergey Ryabkov, a Russian deputy foreign minister. Shannon and Ryabkov’s canceled June 23 meeting in St. Petersburg has yet to be rescheduled. It was not clear if either Trump or Putin would seek to reopen the channel when they see each other in Hamburg, although Tillerson and other State Department officials have taken pains to stress that they remain open to a resumption of the talks. On Monday, Putin’s foreign affairs adviser, Yuri Ushakov, said Russia had been remarkably restrained by declining to retaliate but that its patience was running out. If the U.S. doesn’t soon give back the compounds, also known as dachas, Moscow will have no choice but to retaliate, Ushakov said. Another Russian demand is to ease surveillance of its diplomats in the U.S. The U.S. has its own list, topped by a resumption of adoptions of Russian children by American parents that Russia banned in late 2012, an end to what it says is intensifying harassment of U.S. diplomats and other officials in Russia and a resolution to a dispute over a piece of land in St. Petersburg that was meant to be the site of a new U.S. Consulate in Russia’s second-largest city. The U.S. also wants expanded cultural and exchange programs between the two countries. Such programs were vastly curtailed or ended after Putin’s 2012 return to the Kremlin in an election he accused Washington of interfering in. Tillerson has made the adoption issue a priority, according to aides, although it remains unclear if he has succeeded in convincing the Russians to even consider revisiting the ban. The property dispute in St. Petersburg dates to 2014, when Russia blocked the U.S. from developing the site after the Obama administration hit Russia with sanctions because of it’s annexation of Ukraine’s Crimea region. Officials say the U.S. won’t simply swap the Russian compounds for the St. Petersburg consulate. Action on the other demands is also required, they say. Moscow has long sought an easing of economic sanctions the U.S. slapped on Russia over its actions in eastern Ukraine and annexation of Crimea, which the U.S. does not recognize. Though there were indications that Trump’s aides entertained easing the sanctions in the run-up to the inauguration and early days of his presidency, his administration has repeatedly insisted that they will stay in place until Russia pulls out of Crimea and lives up to its commitments under a cease-fire deal for eastern Ukraine that has never been fully implemented. Given that Russia has taken neither of those steps, easing sanctions would require a major reversal by Trump and would infuriate Russia hawks in both parties in the U.S. In fact, Congress has been pushing to increase sanctions on Russia and make them harder for Trump to lift. The Senate has passed the popular measure, which won’t go to a House vote before Trump’s meeting with Putin. Eager to bolster his global legitimacy, Putin has been pressing the U.S. to cooperate militarily with Russia in Syria, where both Moscow and Washington oppose the Islamic State group but disagree about Syrian President Bashar Assad. Though defense laws passed in the wake of the Ukraine crisis bar the U.S. military from cooperating with Russia, the two have maintained a “deconfliction” hotline to ensure their forces don’t accidentally collide on the crowded Syrian battlefield. The Pentagon has steadfastly resisted proposals to work closely with Russia in Syria, out of concern the U.S. can’t trust Moscow with sensitive intelligence information. But the problems posed by the lack of coordination in Syria have resurfaced following recent events. The U.S. has recently shot down several pro-Syrian government aircraft, leading Russia, an ally of the Syrian government, to threaten to shoot down any aircraft that flies west of the Euphrates River.